Anonymous, 12 Sep 2009i have this phone now for 3 months & getting no joy, have to charge the battery every day! ... moreListen here my vriend. i am still moving with the Nokia 3210(brick version) and my battery lasts for 2 weeks. I suggest you downgrade to avoid havin battery problems. hi i wanna buy a new phone but I dont know which 1 to choose. i900 or x1. is it possible to upgrade them to winmo 6.5? which one's display works better in sunlight? with beter features and performance and even beter price !!?? have to charge the battery every day! how long battery life does this phone have? hi want to buy x1 what's your advice ? i wanna more comments about this phone coz it's offered to me to buy. So i need ur help. 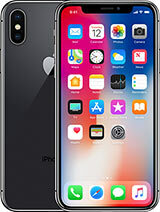 I have been using this phone for a few months now and it has not disappointed, I actually just got back from overseas and the WiFi hookup was perfect, I was surfing the web and banging out emails for free. Oh, and I have dropped it a few times, and besides a few scratches, it is still powering. Battery only lasts a day though, but its under heavy usage. can i upgrade the current os 6.1 to 6.5? can anyone tell me if the internet speed good or no??? Jade, 10 Sep 2009I have new xperia, made in taiwan. the problem i am facing is that if i use 3G or Wifi the bat... moreThis heat is because of using battery power so much. As you know using wifi and gps and 3g is very power consuming. As the result the battery power gets low very quickly so it gets hot. Don't be worry it's a usual thing for the battery. I have new xperia, made in taiwan. the problem i am facing is that if i use 3G or Wifi the battery get so hot and warm. And if i make a call on 3G using Fring, after 5 to 7 min the phone is so hot that its literally impossible to keep it on the ear. Even sometime i fear that it may explode due to so much heat. Is it normal that xperia get so much heatup, or i fear there is some thing wrong with my set? you just should choose any network you want in wifi section and tap on connect. i have no idea about locking of uk orange because i don`t use that. I currently own an xperia x1 and i love it......except for the fact that i cannot use the wifi or 3g. My theory on it is that it may still be locked to its previous network (vodafone UK) whereas I'm using Orange UK. My question is...would debranding solve this problem? Any help would be very much appreciated. Thanks. 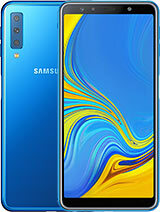 Which F***ing phone do you recomend with more colors and less pixels instead of this amazing phone?